Girodynamics Professional is a company that has extensive experience in the Gyrocopter world and is the only one that can currently provide a comprehensive service to its customers. 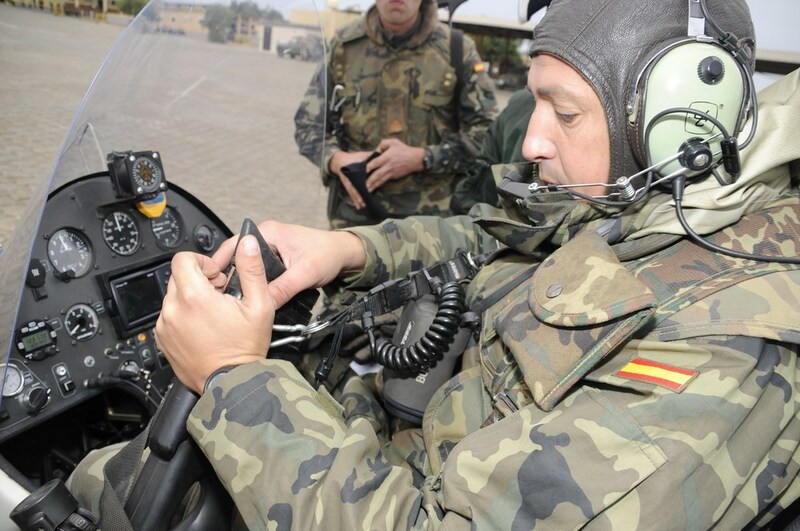 Our company is engaged in the manufacture of gyrocopters since 1993, we are certified and approved to perform pilot training by the Spanish Civil Aviation Authority. For over five years and due to the increasing demand from several countries, we have been offering a professional pack that includes comprehensive training and support for companies and organizations such as armed and policy forces, NGOs, oil and farming companies and so on. This means that once the competitive advantages of the gyrocopter have been recognized, our company offers the purchase of our products with the highest standard of quality acknowledged by over 25 countries. Our top-notch training provides our pilots with a demanding level of skills and knowledge in the use and maintenance of the aircraft. Our team has over 20 years of experience in the aviation industry and is entirely made up of people who share a passion for flying. A Gyrocopter is an aircraft that shares common features with airplanes and helicopters. Like a helicopter, it uses a rotor that develops lift, however, unlike helicopters the rotor is unpowered and it turns in autorotation to provide this lift. It also uses an engine-powered propeller, similar to that of a fixed-wing aircraft to provide thrust. This means that if the engine stops is not a dangerous event, but something that is usually caused by the pilot, as the engine must always be stopped for landing. The lift provided by the rotor in autorotation ensures a smooth and perfect landing. Safety is the most important feature of the gyrocopter, it is equipped with a rotor that auto-rotates freely due to the effect of the relative wind and is not connected to the engine in-flight. The dreaded event of an engine stopping poses no problem as the gyrocopter glides and lands easily without the use of an engine. In fact, in the training course the student must always land without the engine and, quite unlike an airplane, when the aircraft reaches the floor the touchdown requires almost no speed. They are extremely stable compared to fixed-wing aircrafts. Gyrocopters never face a loss of lift or go into a spin. Therefore, safety is never compromised in adverse weather conditions like high and thermal winds. Learning to fly a gyrocopter is very easy. A training course consists of approximately only 20 hours of flight and the study of the theory. The speed of flight of this aircraft ranges from 0 to 220 km / h. Given its short takeoff roll, gyrocopters can maneuver, land in tight areas (0-10 m) and in difficult roads and pieces of land. Its takeoff roll is less than 10 meters and taking into account that the area of the rotor has a 8,30 meters diameter, a minimum space is enough to land safely in the case of unexpected events. They use different types of green fuels: 95 oct. unleaded, 98 oct. with/without lead or Avgas 100 LL. They can fly in very adverse weather conditions with strong winds and aggressive turbulences that make it impossible for fixed-wing aircrafts to fly. Mechanical maintenance is relatively simple and has a very low operational cost, making the gyrocopter a very reliable machine. Our company has been manufacturing these aircrafts since 1993 and we can currently confirm that no mechanical failure has compromised the safety of our customers to date. Pre-flight check ups can be easily performed by any pilot. The gyrocopter can be driven on roads and is extremely easy to be hangared in small places. Both the purchase and the operational/maintenance costs are low, infinitely inferior to those of helicopters and fixed-wing aircrafts. The flight autonomy of the gyrocopter is similar to that of an airplane's. Its fuel consumption is significantly lower than that of a helicopter. Given its high operational and takeoff flexibility it is easy to set up refueling points, increasing their range of action. If necessary, it is possible to attach an additional fuel deposit to double the radio or flight distance. Gyrocopters have been used for recreational and sport purposes for years. Forest, coastal and border surveillance. Support and link to land and sea units. Police and Army (military missions, C3I function, command and control, communications and intelligence) and counter-terrorism strategies. Tracking down of victims or fugitives. A new era begins in different sectors of aerial work with the use of gyrocopters, especially in the surveillance field, where most demand is today. The gyrocopter is the ideal aircraft for this task due to its high visibility (semi-faired tandem cabin) and its wide range of flight possibilities (hover, slow and fast flight, slide). It is perfect for customs coast-watch, surveillance of steep or very large borders, drug-fighting strategies and military missions. All these aerial works are already being carried out by our gyrocopters, being our company the leader in several countries in Africa, Latin America and Asia. Agricultural spraying is also another booming market in which we are already partakers as we operate in several countries. Our spraying gyrocopter is exclusive in the international market as it is the only one that is specifically designed for aerial spraying. Major sugar companies in Central America are already using our gyrocopters to spray their fields. One of the most important features of the gyrocopter is its low operational and maintenance cost. Depending on the fuel, it requires only a check up every 50 or 100 hours and besides a general inspection it is only necessary to change the oil and filters. This means a great economic advantage over the airplane and, specially, over the helicopter. To get an idea, for the purchase cost of a routine surveillance helicopter, approximately 50 gyrocopters can be purchased and the operational cost would be around 1%.